Epsom is an exclusive, affluent suburb of Auckland, New Zealand. It is located in the centre of the Auckland isthmus between Mount Eden and One Tree Hill, south of Newmarket, and five km south of Auckland CBD. From the 1840s until the 1890s Epsom was noted for its rich pasture land which supported both dairy herds and grain crops. Towards Mt Eden is Windmill Road which was the site of the Bycroft Windmill. Initially, large country houses and farms dotted the landscape but from the 1890s onwards suburban development spread southwards from Newmarket across the fields of Epsom. Most of the housing in the area dates from 1900 to 1930, often large houses built solidly of wood, many in the Californian Bungalow or “Stockbroker Tudor” styles. The area has been long noted for its tree-lined, well-ordered streets, parks and a great variety of architecture, with century-old villas competing with late 20th-century modern housing. Following WWII increasing numbers of the larger properties were subdivided and smaller houses appeared. Since the early 1990s, there has been a considerable amount of “infill” housing with clutches of townhouses altering the streetscapes in some parts of Epsom. Named after the town in England noted for its horse-racing, Epsom also has a race track. The Alexandra Park Raceway lies in the south-eastern quarter of Epsom where it is located next to the Epsom Showgrounds. The broad, flat pastureland here at the intersection of Green Lane West and Manukau Roads was used for sporting events from the 1850s onwards but the two venues were only formally established around 1900. The Alexandra Raceway was named after the Princess of Wales later Queen Alexandra. The Epsom Showgrounds host the annual Auckland Royal Easter Show. The major road running through Epsom is Manukau Road. Manukau Road links central Auckland on the east coast with its airport and its west coast harbour, the port of neighbouring Onehunga. It was one of the 19th century’s main routes south from Auckland. The main route was Great South Road which forms Epsom’s north-eastern boundary with Remuera. The link to the Port of Onehunga meant Manukau Road became the route for horse buses, horse trams and, after 1902, electric trams. A large number of suburban houses and villas were built along it. Several large residences were built in Epsom’s open country during the mid to late 19th century surrounded by large estates and smaller working farms. As these were subdivided towards the end of the 19th century the landscape changed dramatically. One major landowner, Dr John Logan Campbell, gave a large portion of his estate to the city and that is now Cornwall Park. Epsom’s most notable parks and reserves are the volcanic cone of Mount Saint John and Marivare Reserve at the intersection of Manukau and Ranfurly Roads with a War Memorial in the form of an arch made of Volcanic rock together with sports grounds Melville Park and Windmill Park. As well as reserves located in Epsom itself the suburb is ringed with public parks often given to the city by Epsom residents. To the west is Mt Eden with the Mount Eden Domain. To the east is Cornwall Park and One Tree Hill Domain. 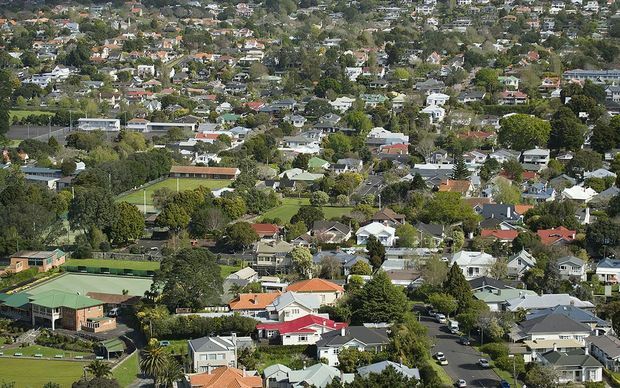 Bounding suburbs are north Newmarket and Grafton; north-east Remuera; east Greenlane; south- east Cornwall Park; south Three Kings and Onehunga; west Sandringham and Mount Eden.